The Half Chicken Fly is well known amongst many Barbel and Catfish fly fishermen. 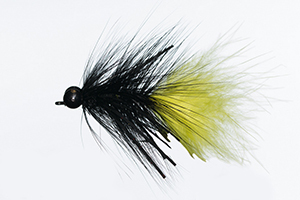 This fly is also known as Half A Chicken and the Half Chicken Barbel Fly. This fly is really effective, as it creates a big disturbance in the water (Which Barbel are always quick to check out). When retrieving this fly, let it sink for a few seconds, sometimes fish will take it on the drop, and then retrieve it with a short and aggressive jerk, pausing in-between each pull. The Half Chicken is best tied with weight and heavy eyes. The Half Chicken Fly is used mainly in South African waters to target Barbel, but can also be used for Bass and Largemouth Yellowfish. The Half Chicken is probably the most effective fly for catching big Barbel, also known as the Sharptooth Catfish. It often provokes an aggressive strike from the freshwater fish species listed above. The Half Chicken is not going to catch you many varieties of fish, but it will catch some species, especially bigger specimens, that are difficult to catch on fly. 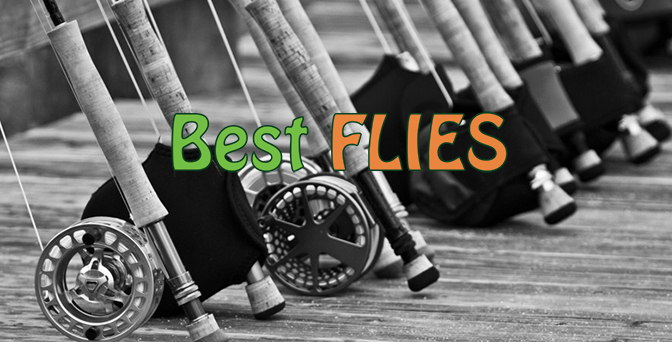 It is worth fishing under trees and overhanging river banks where small birds and rodents often fall into the water. This fly also seems to do a decent job at imitating a few of our indigenous bait fish.